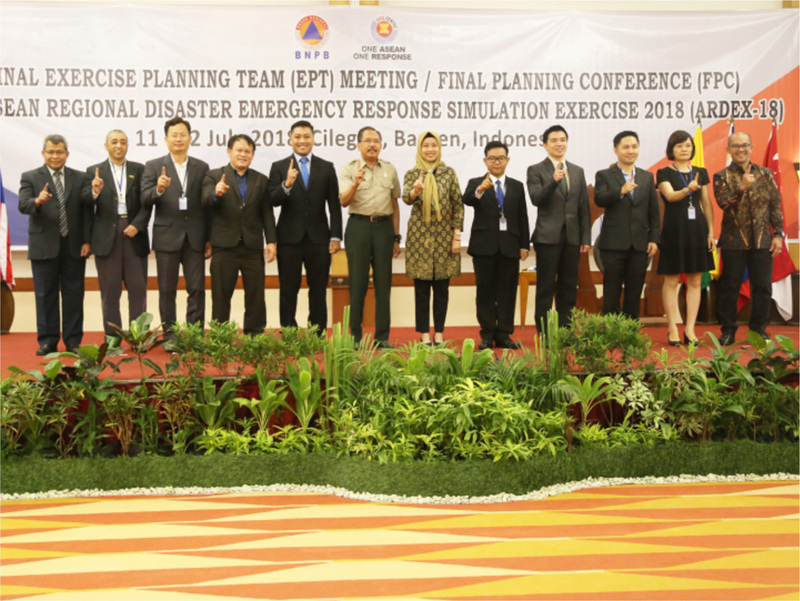 2018’s ASEAN Regional Disaster Emergency Response Simulation Exercise 2018 (ARDEX-18) is planned to be held in Cilegon, Banten, Indonesia, from the 4th to the 10th of November, engaging all ten ASEAN Member States and a range of other disaster management stakeholders within this all-important disaster simulation exercise. 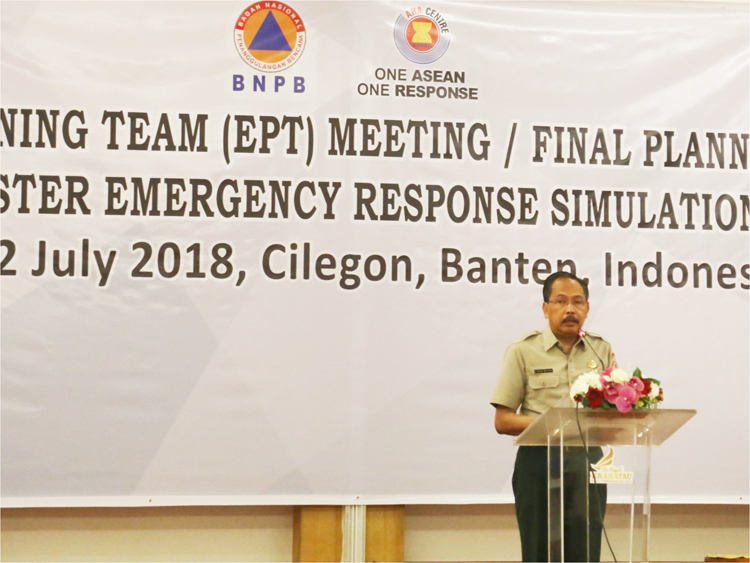 During mid-July, the AHA Centre, alongside the National Disaster Management Authority of Indonesia (BNPB) led the final preparations for ARDEX-18, undertaking the Final Exercise Planning Team (EPT) meeting and Final Planning Conference (FPC) for this key biennial regional exercise. 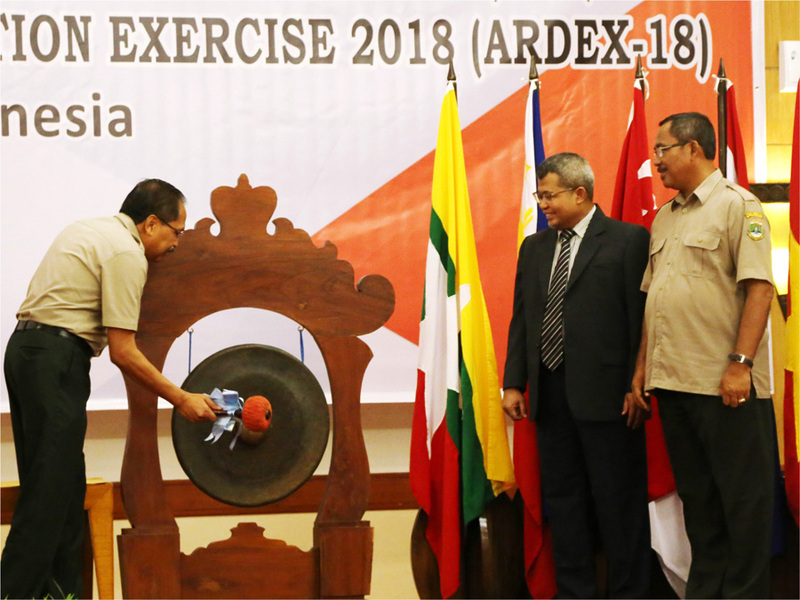 ARDEX-18 will form the 7th ARDEX simulation exercise for the ASEAN region, which has provided a substantial range of benefits to ASEAN nations as well as for a vast range of stakeholders within the international sector. Alongside this, it has formed an opportunity for the ASEAN Standby Arrangements and Standard Operating Procedures (SASOP) to be practiced, evaluated, and reviewed as the key mechanisms for disaster response within the region. The finalisation of preparations included determining contributions of each actor engaged in the exercise, the roles that will be undertaken by each participant, as well as ensuring the exercise will be implemented in a smooth and efficient manner. “Conducting exercises will help gather valuable and proper assessments to address gaps in real emergency situations. In addition, doing simulations will help clearly identify roles, types of communications and resources needed,” explained Mr. Dicky Fabrian S.H., LL.M., from the Bureau of Law and Cooperation of the BNPB. Cilegon has been chosen to host ARDEX-18 due to its identification by the Indonesian Government as one of the most disaster-prone areas, and based on scientific risk analysis undertaken on the location. Cilegon is in close proximity to the Sunda thrust and Krakatau volcano, thus prone to earthquake, tsunami, and volcanic hazards. Furthermore, as an industrial area, Cilegon faces an additional risk of hazardous materials due to the presence of various factories within the city. Due to this factor, ARDEX-18 will be the first simulation exercise that includes training materials related to chemical hazards within the scenario. “First, ARDEX serves as a key disaster response preparation tool. Next, it serves as a strong platform for the participants to learn from each other. The lessons learned and gathered will be significant for improving the preparations in the future. 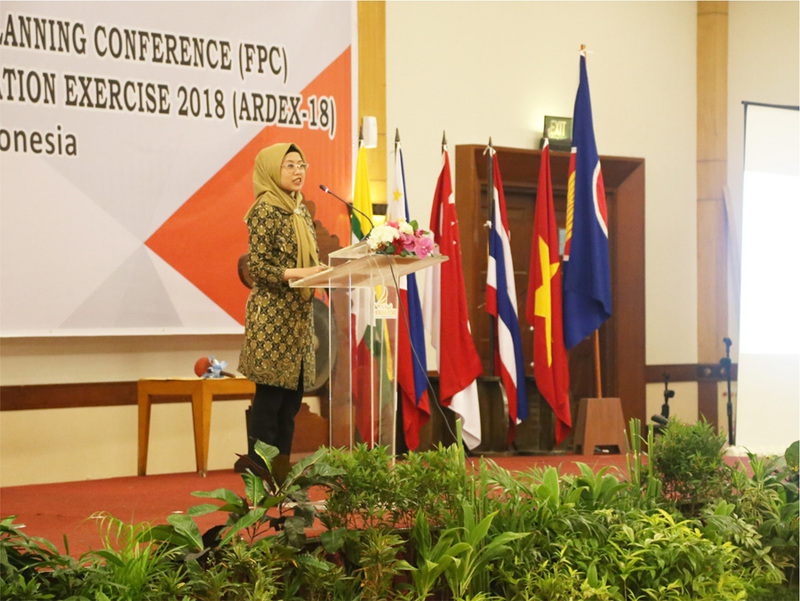 Third, ARDEX builds a bridge in linking and strengthening the emotional bonding of sisterhood and brotherhood of ASEAN, which is important factor in strengthening the context of ASEAN unity,” said Adelina Kamal, the Executive Director of AHA Centre. Participants for the upcoming ARDEX-18 are comprised of emergency response teams from all ASEAN Member States, United Nations representatives, private sector, academia, and international partners who wish to contribute to the implementation of One ASEAN One Response.